A friendly smile greets you upon your first meeting with Shelby Bunting. Her smile extends to her eyes which sparkle like the reflection of a diamond in the sunlight. Of course you will notice her outward beauty immediately, her long blonde hair is many a girl’s dream. When she speaks to you, a slight Southern accent comes across as both sweet and respectful. You want to get to know her. Shelby was born on June 4, 1995 in West Palm Beach, Florida. She moved to Alachua County, Florida and attended Trenton High School. She landed a spot on CMT’s show “Gainesville,” a docu-drama about friends growing up in the South. She is the youngest cast member on “Gainesville” known as the mature, sweet sister of one of the show’s main characters. One of Shelby’s first scene’s is brushing her horse. Shelby is a passionate animal lover. She has two horses and several dogs. They are very near and dear to her heart. She posts their pictures on her social media accounts and considers them not only her family but also some of her best friends. She teaches horseback riding lessons to some of her favorite youngsters. Besides teaching horseback riding lessons and working on a tv show, Shelby also works at a hair styling salon and a pizza joint. Two days a week she works both jobs, but through it all a smile is on her face. She is a hard worker, waking up, going to the salon, when her shift is over she goes to the local pizza restaurant and works until closing. Not sure yet what road she wants to take on her career path, Shelby is also modeling. At the age of 20, she has the energy to do it all and still have time to be a free spirit and chase a good time. Shelby Bunting is a Real American Girl. 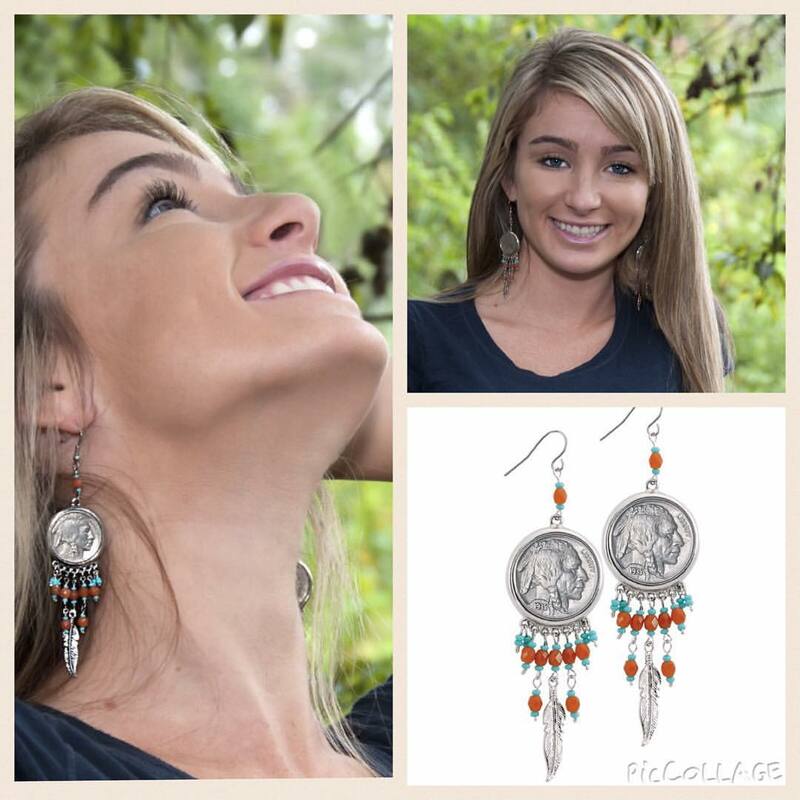 This entry was posted in Uncategorized and tagged AmericanCoinTreasures, Buffalo Nickel Earrings, buffalo nickels, coinjewelry, Real American Girl, Shelby, Shelby Bunting, ShelbyBunting. Bookmark the permalink.